If you need to achieve Band 7 or higher, it helps to know what the examiner is looking for. The graphic below shows the main scoring criteria as well as some suggestions for improving your speaking. If you are thinking of migrating to Australia to work in a professional or skilled area, you are required to pass a points test in order to apply for a visa. 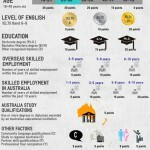 The points test is used to help Australia select people who have the skills and attributes it needs. You are given points for different reasons, including your age, English language ability and professional experience. 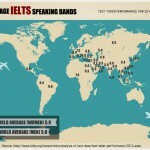 In December 2012, the IELTS organisation published an official report on test performances around the world. The map below shows the average Speaking test score for the top 40 countries. Here's a quick tip for candidates who need Band 6.5. According to the official IELTS marking criteria, you need to have a wide enough vocabulary to talk about a range of different topics. However, you don't have to use many "less common" words and phrases like with higher bands. I've created a video presenting a few simple but practical tips for performing well in Part 1 of the IELTS Speaking test. This video is useful for all candidates, including those aiming for Band 7 or higher. It includes some simple but practical vocabulary and grammar tips. In order to watch or download the video, you just need to click the 'Like' button below the video. 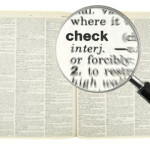 Are some IELTS examiners stricter than others? 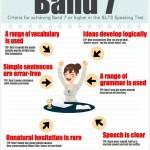 Many candidates want to know if it is easier to get a high band in the speaking test with some particular examiners than with others. Well, the answer is "No, it shouldn't be." The IELTS scoring criteria is standardized and examiners are trained to be reliable and fair in their assessment of candidates.